Greetings to readers around the world! This will be my first time ever writing this column. I am Lovina’s daughter Lovina, age 13. I am writing the column for a school project for my teacher (Mom). On winter days like this I like to go sledding, then come inside and cuddle on the couch sipping hot chocolate. On warmer days I spend time outside with the horses, ponies and dogs. For now I have to deal with the cold weather! I love the snow, going sledding with my brothers, making all of them hot chocolate, staying warm and writing crazy stories. I love every part of winter. Today I’m staying the night with my sister Verena at sister Susan and Mose’s house. Mose and Susan have moved into their new home now. Their house is cozy and warm. We brought Verena’s Yorkie dog, Ricky, with us. He propped himself in front of the stove and refuses to move. Mose and Susan have a pellet stove. It is hopper fed and it makes a nice cozy heat. At home our coal stove is in the basement so Ricky doesn’t get to lay in front of it. With all the people we have at home, I’m not used to this quietness here at Mose and Susan’s house. Today at church we had a potluck Christmas dinner. Every family brings a dish of food. They have casseroles, salads, fruits, pies, cakes, and the list continues. Sometimes I want to try everything but that wouldn’t be possible because I can’t eat that much. Abby (Abigail) was at church today. I love spoiling her! She sure doesn’t like to sit quiet in church. She is always so full of energy and wants to run around. It seems Abby is growing up so fast that I can’t keep up with her. She’s starting to say words and know what they mean. I’m happy to say that she is my niece! She always makes my day even better. Yesterday I helped sister Susan give her dog, Tippy, and Verena’s dog, Ricky, a bath. Today they are dirty again. They are kind of like the boys—never staying clean. The dogs like to jump in the snow and get soaking wet. Then they lay on the vent where the heat comes up from the basement to dry. I’m excited for Christmas. Christmas is my favorite holiday. I can’t believe it’s that close already. There is snow on the ground. Dad and Mom are Christmas shopping sometimes and the days just seem to fly by. It is so cold and icy outside. Christmas is fun but the most important part is remembering the true meaning: Christ our Savior is born. It is now Monday morning (December 17). I was so relaxed last night that I fell asleep early. Mose left for his job at the RV factory. He has their horse Rex harnessed and hitched to their buggy. Susan is coming to our house today to wash her laundry. They still aren’t set up to wash clothes at their house. We are now at home. It was a chilly ride home. The five-and-one-half miles went fast with us three sisters chatting away. Mom made coffee soup and grilled cheese for our breakfast. Coffee soup is one of my favorite breakfast foods. It is just a little coffee with milk and some sugar added and heated. Then we put in crackers or toasted bread crumbs. Mom doesn’t think we should just eat coffee soup unless we eat something else with it. She doesn’t think it’s a healthy food. Merry Christmas and Happy New Year to everyone. Drive safe and stay healthy. And God bless you! The recipe I’m going to share is very easy to make. Bring sugar and milk to a boil. Boil for 2 1/2 minutes. Remove from heat and stir in peanut butter and vanilla. Put in an 8 x 8-inch pan and it’s done! Cool and serve. Lovina’s Amish Kitchen is usually written by Lovina Eicher, Old Order Amish writer, cook, wife and mother of eight. She is the co-author of three cookbooks; her new cookbook, The Essential Amish Cookbook, is available from 800-245-7894. Readers can write to Eicher at PO Box 1689, South Holland, IL 60473 (please include a self-addressed stamped envelope for a reply) or at LovinasAmishKitchen@MennoMedia.org. Lovina, you did a wonderful job writing your column! I think writing must run in your family – you’re all good at it. 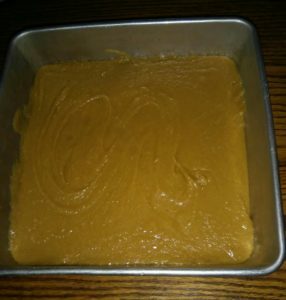 Thank you for the candy recipe! What a wonderful first column! Good job, Lovina, and I’m glad you’re enjoying a nice winter with your family. First time Lovina! I think it’s a must to love winter when you live in Michigan. I grew up in Michigan and also loved the winters back then. 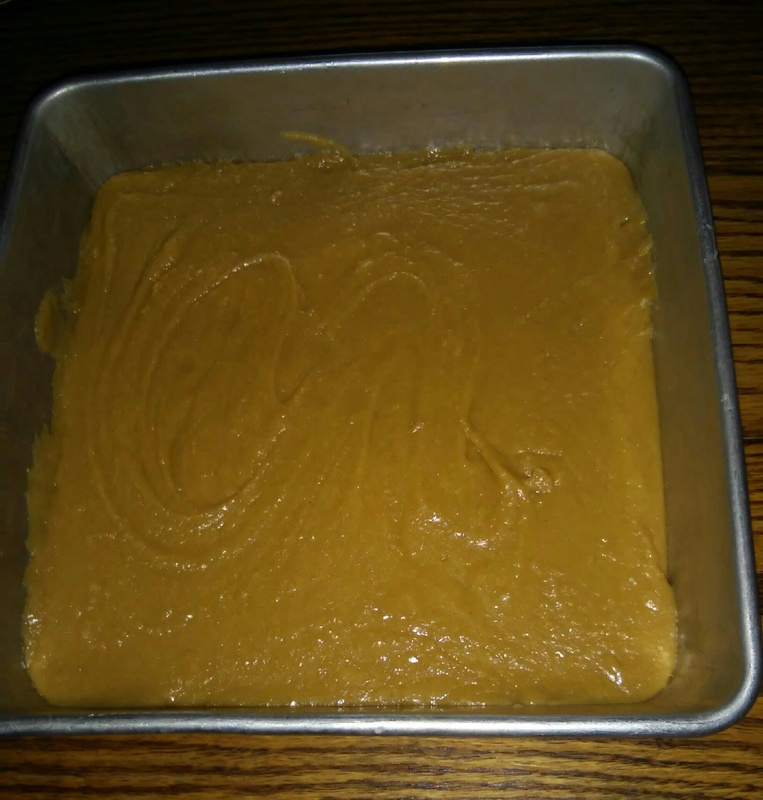 Your fudge sounds good and I have not had peanut butter fudge in a long time so I’ll try it I love all your mom’s recipes , so I’m sure I’ll love yours. God Bless! What a happy surprise to find you wrote the column this week. It was excellent and I enjoyed it very much. Happy New Year to you and your wonderful family. I liked your column but the fudge never got hard and is just sugary. Was an ingredient missing? I enjoyed your writing. I hope you aren’t to cold with this weather we are having. I am in Virginia it is very cold here. Stay warm and God Bless! Been meaning to get back to leave a comment. I too was very impressed….Lovina is a natural!!! She did a great job. As wonderful as the slightly elder Lovina is, I always enjoy when the kids do a column. I feel like I’ve watched them grow up, via the wonderful stories about them. There was a big gap when I didn’t realize this column was still out there, and several times I wondered how the entire Eicher family was doing. So thanks for sharing with all of us. As great as the recipes are, keeping up with this group is even better!! You are a loyal and long time fan. Thanks for your comments. Come back often!